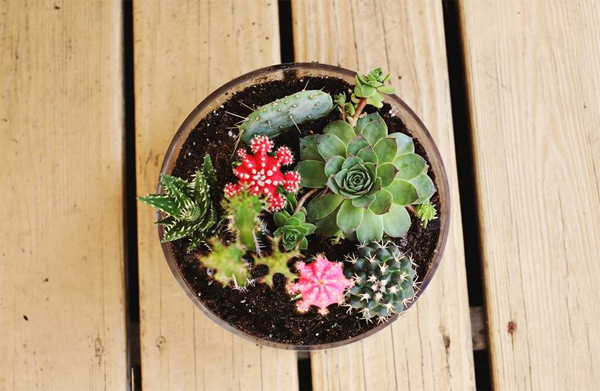 Not just ornamental plants, especially cactus garden ideas for our home. I’m happy to add more plants to a small grouping of cactus. I just need a circle shaped vase and a few ingredients that are easily found in creating DIY projects. I like cactus because it is easy to take care, do not ever die, hilarious, and come in a variety of sizes. 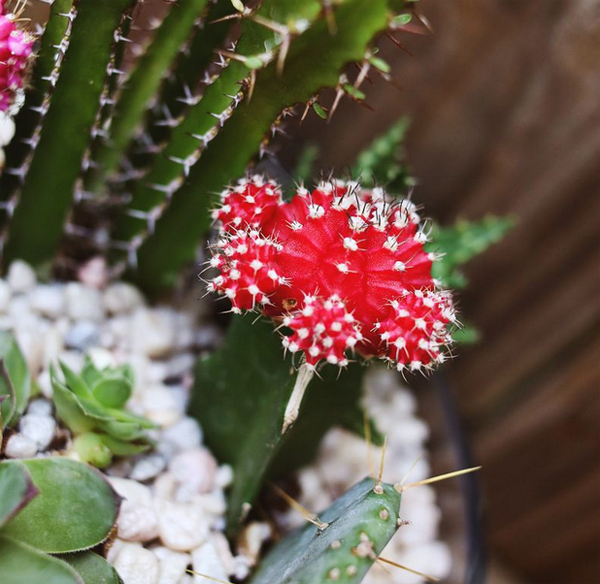 So I’m going to share about how to make a mini cactus garden, cactus and succulent plants because it does not require regular watering, of course, will save time without always taking care of them. 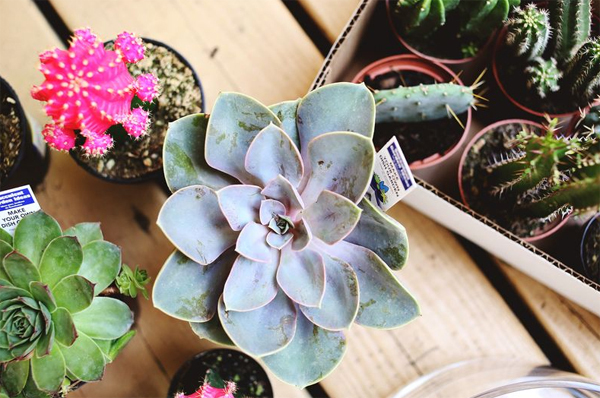 Cactus usually requires only a few times a spray of water once or twice a month or when the soil is completely dry. 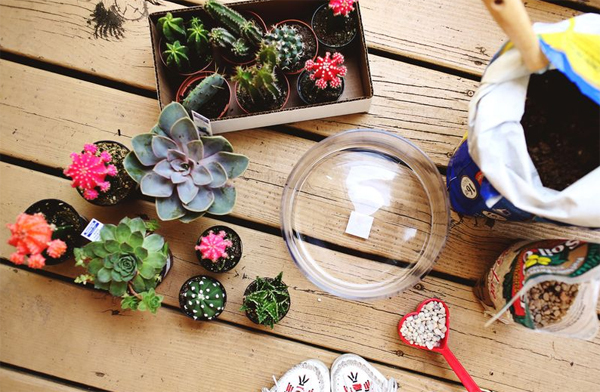 Let’s create a simple cactus garden! 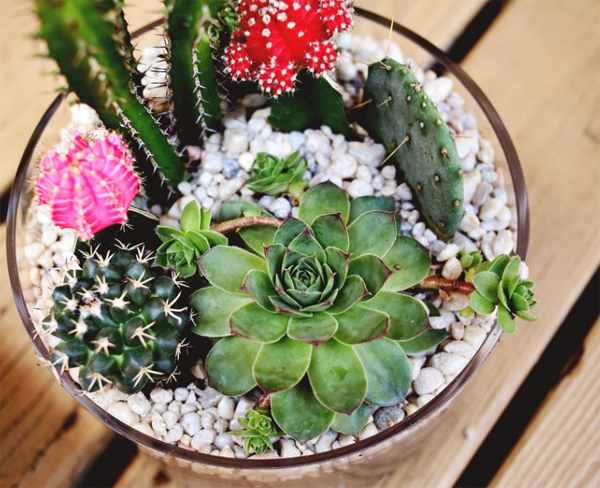 To make a cactus garden, supplies you’ll need: A shallow vase (about 10 inches wide and 5 inches tall), rock garden, a cactus plant that you like best (you can also add some succulent plants you like), and a small shovel. You have 20 minutes to complete the following DIY home garden. 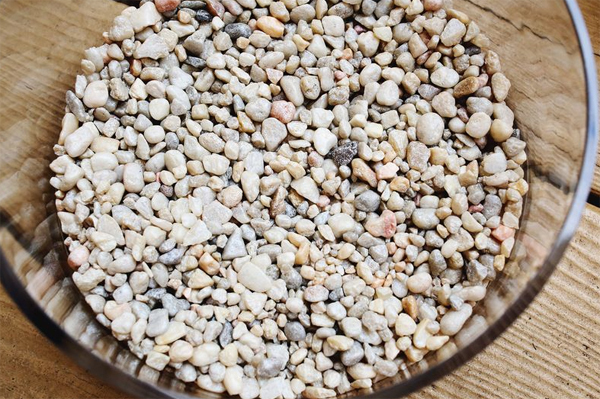 Step 1: Add some natural stone to the bottom of the vase. 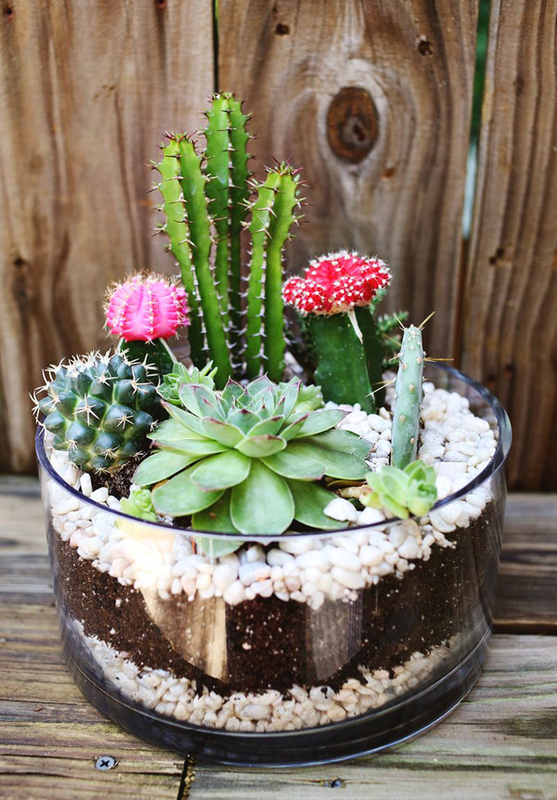 This will help with drainage when you give them water, in addition to beautify cactus pot. Step 2: Add the ground. I filled it to about an inch from the top, but it was not crowded so there’s still plenty of room for plants. Do not forget to add fertilizer to enrich the soil. Step 3: Planting a small group of plants in the ground, you can decorate cactus garden itself according to taste. Ensure space for colorful cactus. 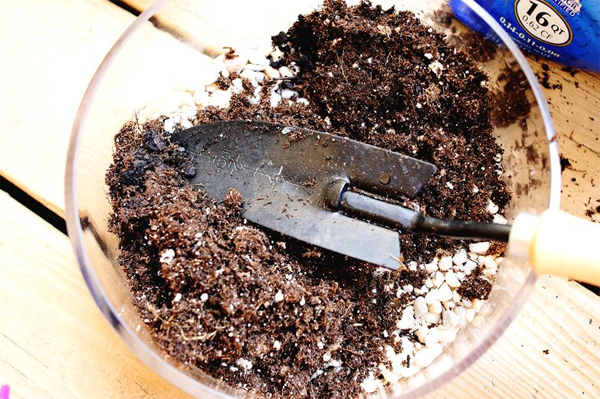 Step 4: The final step, cover the top of the soil with a thin layer of rock. This is just to look cute, and cactus you are ready beautify the room. Easy is not it? You just need a little time for gardening, maybe this can refresh your mind and a little creativity. May be useful.